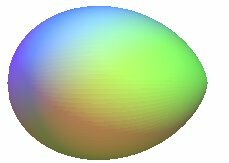 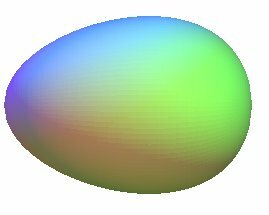 An ovoid is a surface shaped like an egg. 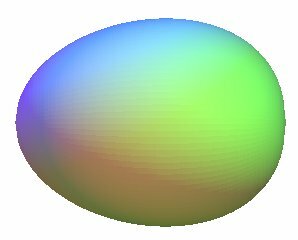 In a general fashion, we can give the following definition: surface of class C1, boundary of a bounded convex subset of space. 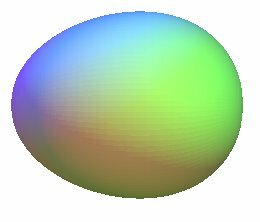 Then, a closed surface of class C1 all the points of which are elliptic is an ovoid. 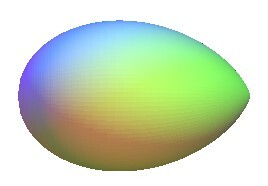 2) concave on [a, b] . 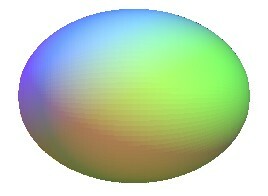 Profile of the corresponding egg, curve y²=f(x). 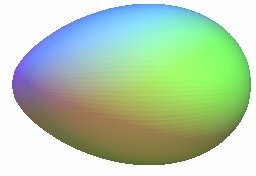 Simon Cadrin proposed , with a=–1, b=3 ; Cartesian equation of the profile: . 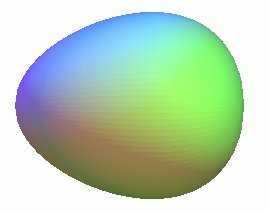 See also the Cartesian ovals, the Ehrhart eggs, the curves of the slider-crank mechanism, the right folia.